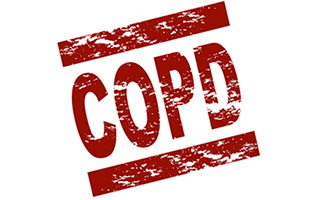 COPD (chronic pulmonary obstructive disease) is becoming increasingly common. By 2030 scientists are predicting that COPD will be the third leading cause of death in the country. If you have COPD, you're looking for two things. One, how to breathe better. And two, how to feel and function better. Recently, researchers looked into an ancient treatment for COPD that is natural and safe. They wanted to know if the treatment was really effective. The researchers reviewed all of the placebo-controlled published studies for patients with COPD. All of these studies looked at the safety and efficacy of acupuncture for these patients. They were specifically looking to see if the studies showed improvement in lung function, exercise capacity, and health-related quality of life. In total, they included 16 studies in the review. Here's what they found. The acupuncture therapies used in these studies improved both shortness of breath and health-related quality of life. In fact, the patients with COPD who had the acupuncture treatments were able to walk 28% further than those who did not get the treatments. It's important to note here that although the patients had a very noticeable improvement in their ability to feel and function better, their lung function did not improve. So although acupuncture will improve the symptoms of COPD, apparently it will not change the course of the disease. Nonetheless, for something that is free of side effects and works this well, I have to say that acupuncture looks like a good idea for anyone with COPD. If you would like to get some additional help, give it a try. Coyle ME, Shergis JL, et al. Acupuncture therapies for chronic obstructive pulmonary disease: a systematic review of randomized, controlled trials. Altern Ther Health Med. 2014 Nov-Dec;20(6):10-23.